Honda is a global business like no other. It is the largest engine manufacturer in the World, designing, developing, manufacturing, distributing and selling cars, motorcycles, marine outboards, ATVs (All-Terrain Vehicles), lawn & garden products, generators, water pumps and snow throwers. Honda’s premium lawn & garden range comprises of a wide selection of pedestrian lawnmowers, ride-on mowers, robotic lawnmowers, leaf blowers, brush cutters, Versatools, hedge trimmers, lawn trimmers and tillers. They are all supported by comprehensive guarantees, including 1 year commercial warranties on our professional machines. 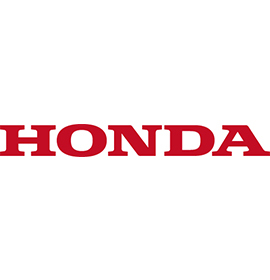 For more information on Honda’s Lawn and Garden products, please visit the website.